The SRC is essentially a DAC and ADC in one box, that also offers up-sampling. If the sample-rate is the same the ADC and DAC can run simultaniously, processing differnt signals. There is also a headphone output. Connections: 1 pair XLR analog out, 1 AES/EBU digital out, 1 Toslink digital out, 1 RCA digital out. 1 pair XLR analog in, 1 AES/EBU digital in, 1 Toslink digital in, 1 RCA digital in. The features of the SRC mentioned above are superb, however there is an achilles heel; the analog inputs and outputs have relatively high distortion and noise compared to the best alternatives. In fact, the DAC and ADC chips inside the SRC are high-end items from AKM. The distortion is created by the analog buffer circuits, not the converters themselves. The solution is to replace the analog sections in their entirety with new circuit designs from BehringerMods. These upgrade circuits are available as a self-install kit or with installation provided by BehringerMods. They allow the converters in the SRC to reach their full potential with significantly lower distortion and noise of all kinds. The Behringer SRC when modified with this new circuit is capable of less than 0.0005% THD and 117dB S/N ratio at it's analog outputs. 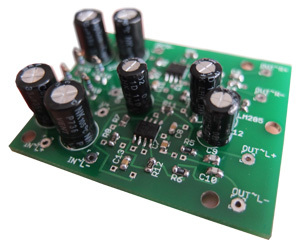 The circuit alone can actually achieve even better figures and can be used to upgrade any DAC that has a differential voltage output, such as those based on the AKM AK4393, AK4396, Cirrus CS4392, CS4398, Wolfson WM8740, WM8741, WM8742. The Behringer SRC when modified with this new circuit can achieve <0.0005% THD and 117dB S/N from the analog inputs. In conjunction with the digital outputs, the modified SRC can serve as a reference class ADC for archiving vinyl and tape. Using the analog inputs and analog outputs, room correction can be applied to any source. 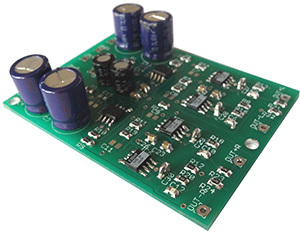 The input circuit alone is capable of 123dB S/N ratio (4V rms input) and 0.00005% THD and can be used to upgrade any voltage input ADCs such as . AKM AK5393, AK5394, Cirrus CS5391 and others. Note - The BehringerMods analog input circuit has a fixed input gain level. The gain knob only adjusts LED metering after modification.